Self-employment has numerous benefits, but the lack of a steady paycheck can offset your financial plans and needs. 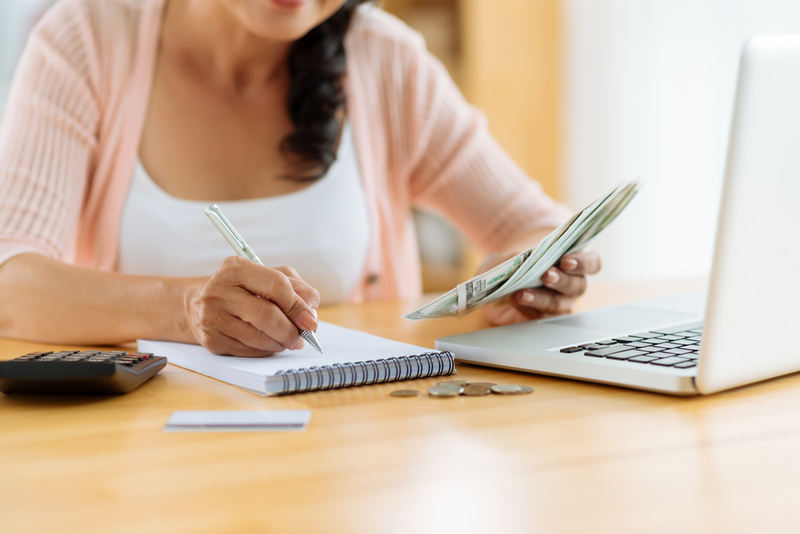 Even though you may be financially stable and responsible for your monthly payments, banks and lenders are wary of approving loans to self-employed individuals as they are classified as a risk. At Loans SOS, we understand the struggles self-employed people face when applying for a loan, and we want to help you every step of the way. Whether you’re looking to refinance credit card debt or trying to get a mortgage, our dedicated team of professionals is here to advise and guide you to institutions that will grant you the loan you require. 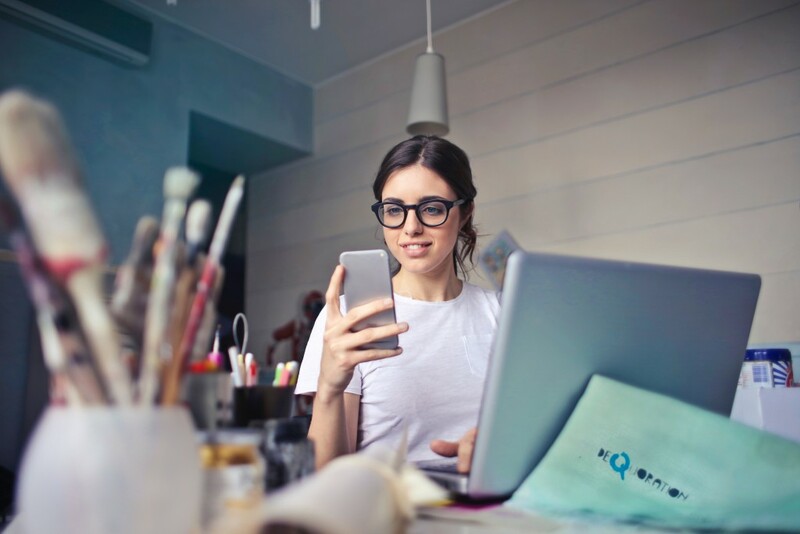 Before leaving your current 9 a.m.-5 p.m. position, it’s strongly recommended that you apply for your loan before pursuing your self-employed endeavours. With a stable paycheck in your pocket, you increase your chances of getting your loan application approved faster. You also avoid a two-year wait, so be sure to weigh all the pros and cons before leaving your day job. During the application process, lenders want to fully comprehend your financial situation. To determine how much credit you can receive, you will need to submit copies of your last two years of income tax returns. Keep in mind, however, that recently increased income may not be reflected on your tax returns and contracts showing guaranteed revenue in the near future won’t always be taken into account by lenders. To better your financial prospects, be prepared to provide additional documents to your lenders, such as a balance sheet, income statement, expense report, and earnings and revenue statement. If you’re already self-employed, consider limiting a few expenses. Whether it’s postponing your summer vacation, opting for homemade meals instead of dining out, or wearing the clothes and shoes currently in your closet, your savings will increase your income and better your chances at getting your much-needed loan approved. When you apply for a loan, you might have the option to declare stated income. This alternative allows you to directly state to the lender how much you make as opposed to proving your income with two years’ worth of tax returns. However, you might only be given this possibility if you worked in the same profession for over two years before becoming self-employed. Keep in mind that stated income is a more complicated method to validate your earnings, and not every lender is willing to accept this as proof. Since lenders classify you as a bigger risk, there’s a possibility you might have to pay a higher interest rate on your loan. If you’re hoping for a mortgage and require mortgage default insurance since you don’t have the 20 percent down payment that’s needed, there’s a high chance you will have to pay more for that, too. These situations are to be taken into consideration before you consult with the lenders to determine the amount you can have loaned. If you’re currently looking to purchase a home, consider increasing your down payment to 20 percent and potentially avoid the hassle of mortgage default insurance payments. By opting for a higher down payment, lenders are more likely to be flexible and approve a mortgage loan for you. If you’re having difficulty obtaining a loan on your own, consult a mortgage assistant. With their expertise, they’ll be able to guide you towards the lenders who’d be more willing to grant you a self-employed mortgage. Having a good credit score is crucial before considering applying for a loan. If you need help improving your credit score, consider making some financial changes, such as completing your payments on time and avoiding the use of your available credit for unnecessary expenditures. By making wise monetary decisions, you’ll boost your chances at getting a loan approved at a reasonable rate. Loans SOS is dedicated to helping self-employed individuals connect with the most reputable lenders. We offer diverse services to our clients and help them obtain the loans they need to achieve their dreams. Contact us today for more information! The holidays may be over, but the debt isn’t. It’s no secret that the holiday season can cost a lot of money. Last year, the CBC reported that the average Canadian family spent an average of $643 on gifts alone! And that figure doesn’t include money spent on decor, food, or travel. While people are putting away their holiday decorations and looking towards the start of the New Year, bills are starting to make their way to the mailboxes of those who used loans or credit cards to fund their holiday spending. If some debts have higher interest rates, you should consider paying the minimum amount on the debts with smaller interest rates and paying more each month to the ones that have higher interest rates. If you can pay more than the minimum amount each month, that’s all the better! Your debt might seem overwhelming right now, but once you start repaying it, seeing the amount owed go down each month will feel like you’re making progress. You should also consider using a debt consolidation service to help you manage your debt, especially if you have higher interest rates. A debt consolidation company will take your debts and combine them into one with a lower interest rate. Sites, like Pinterest, are full of fun and unique craft ideas that could easily become your family member or friend’s favourite gift. Not only will homemade gifts save you money, but crafting together is a fantastic family activity that will help you avoid the stress of the mall. Plus, you can customize the items to fit the giftees’ needs and taste. It’s a win-win! It’s easy to get caught up in the hype of the holiday season and feel that it’s necessary to go all out with the gifts, the food, the decor, etc., but it’s really not. The holidays can still be wonderful without all the bells and whistles, and it’s not worth going into more debt for it. Keep long-term financial goals at the forefront of your mind, and focus on time with family and friends, not just the monetary aspect of the holidays. 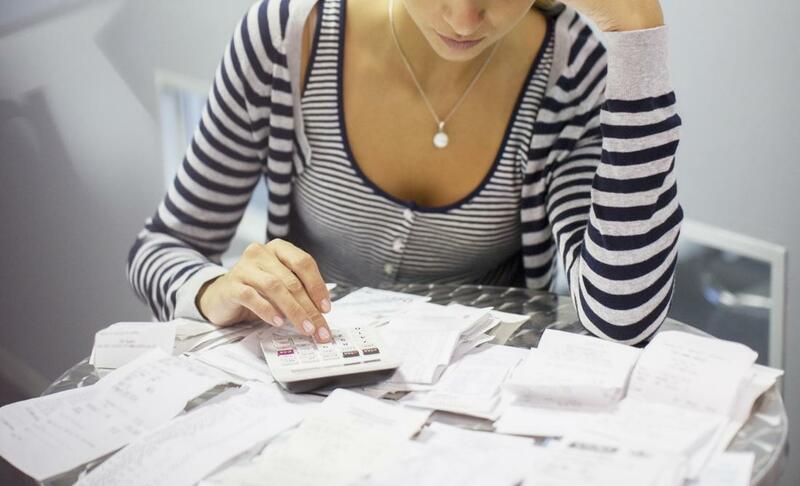 Need help managing your holiday spending debt? Email us at info@loanssos.com, or get your free credit score today! While the holidays are meant to be a joyous time, they can also be stressful. Between Christmas shopping, fighting through crowds and traffic, and dealing with lengthy family get-togethers, you may find yourself tired and anxious at the start of the New Year. This makes winter a great time to get out of town and de-stress on a relaxing vacation. However, going on an expensive vacation is often not affordable for people after the expense of the holidays. If you’ve found yourself in this situation this winter, you may want to consider a vacation loan for a relaxing winter getaway. What Is a Vacation Loan? A vacation loan is a type of personal loan that allows you to borrow up to $40,000 with an APR of between 5% and 36%. The interest rate and amount you can borrow will depend on your credit, and some interest rates may be higher. 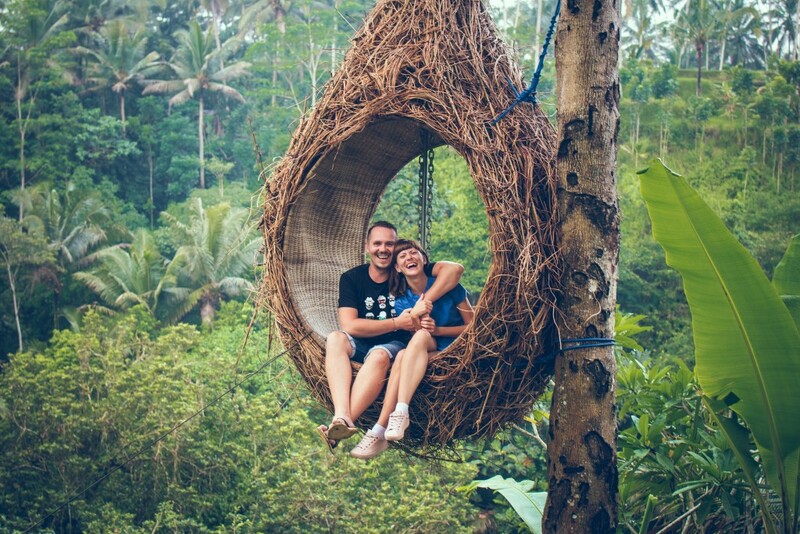 This allows people to take exotic vacations when they would not be able to afford it. They can pay the money back between one to seven years. Travel loans can be particularly beneficial for people who seem to have a hard time saving for a vacation. These loans allow them to take a trip, holding them accountable for making regular payments when they get home. However, it’s vital that you are sensible when taking out a vacation loan; do not take out more money than you need and set a strict budget to ensure that you do not overspend on your trip. Travel loans are often preferred compared to putting a trip on a credit card, as these loans are usually easier to obtain. A loan will also help you to avoid overage fees that can be associated with credit card use. Additionally, a personal loan will not affect your credit use ratio like maxing out a credit card would, and it removes the risks associated with opening a new credit card that you could potentially max out; once you repay your vacation loan, that line of credit disappears. If you’ve found yourself overwhelmed in the New Year with the stress of the holidays, you may want to consider the benefits of using a vacation loan to de-stress this winter. Find out if a vacation loan is right for you by email us at info@loanssos.com, or create an account to get started! HOW TO KNOW WHEN YOU’RE IN OVER YOUR HEAD IN DEBT ? The journey of life is an unexpected one at times. All it takes is one unforeseen emergency and you end up borrowing money to cover unexpected expenses. When Canadian consumers are caught off guard with a sudden emergency, it can push their household expenses to a tipping point. A recent survey by the Canadian Payroll Association says 48 per cent of Canadians are living pay cheque to pay cheque and if their pay was delayed by even one week, they would have a difficult time paying their household bills. The CPA poll highlights the obvious for many consumers – Canadians are stretched to their limits and there will come a time when some will be in over their head. If you are struggling to keep up with your bill payments and you feel like the walls around you are coming down and there’s nowhere to turn, it is time to contact a trained credit counsellor. A trained credit counsellor will discuss your whole financial picture and review what debt consolidation options are available to you. 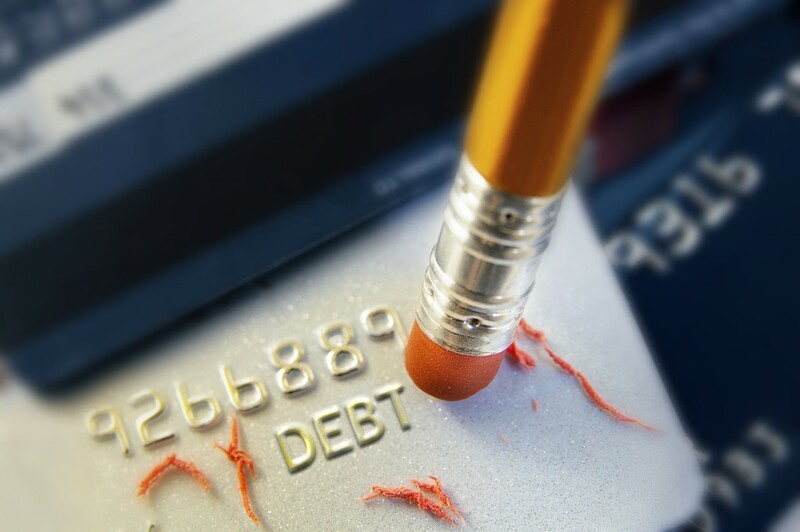 A credit counselling session will free your mind of stress and end the plague of debt. The mountain of debt is an ugly one. It looks nothing like the historic architecture in Quebec City – it is a plague that starts small and harmless, but grows into an unbearable burden for many Canadians. 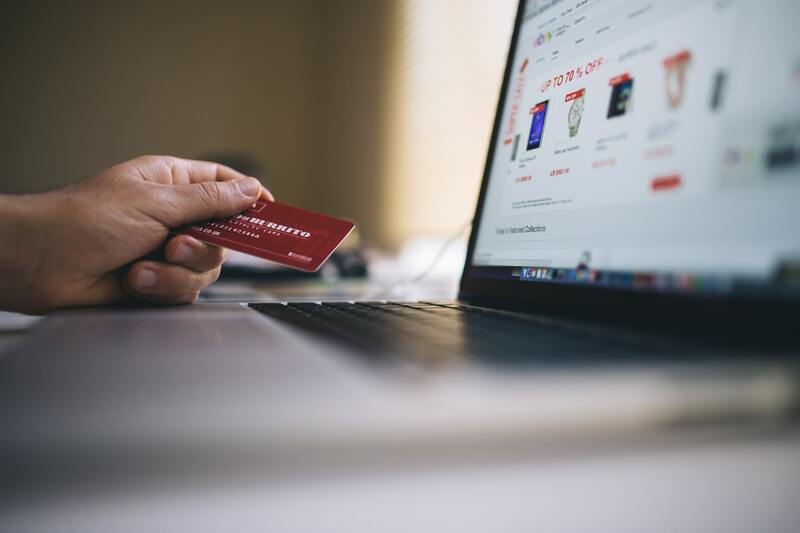 If you are struggling to make ends meet and you can only afford to pay the minimum monthly payment on your credit card, this is an alarming wakeup call – to get help. Let’s face it, ignoring a problem will not make it any better, it will make it worse and in the case of debt management, if you ignore your debt it will grow. So do yourself a favour and attack your debt head on with the help of a trained credit counsellor. There are various debt management options available to Canadians however not all are created equal. There are a few bad apples out there trying to make a fast buck. Do your homework and find a reputable agency for credit counselling. If your heavy burden of debt is becoming too heavy to carry anymore, know there are resources available to you to help you manage your debt so you can be debt free. While on a credit counselling program you will change your relationship with money. You will understand how to create a budget, save money for unexpected emergencies as well as how to live within your means. So get that monkey off your back and get help today. You can give a trained credit counsellor a call at this toll free number 1-888-696-9376. 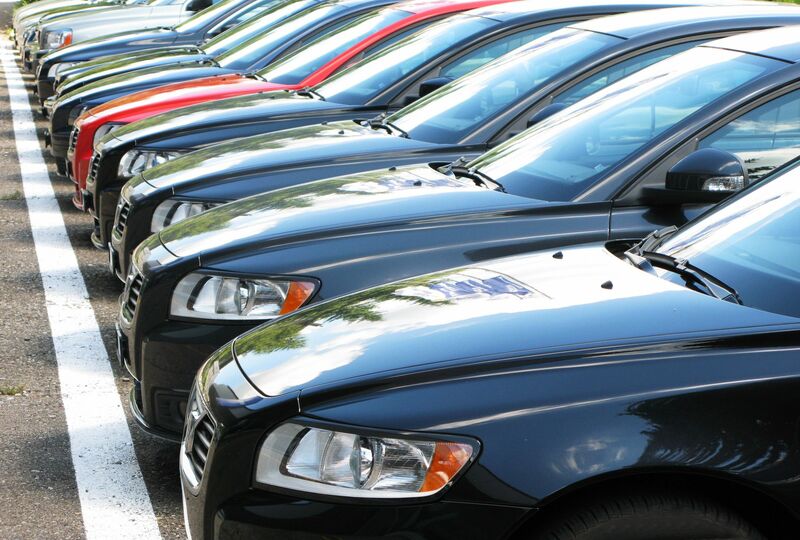 When you are shopping around for a car, it is a no brainer to comparison shop for the best deals in town. You will also look at popular online forums to learn about the reviews of various car makes and models. In some cases, you may even look to rural cities or provinces for deals. 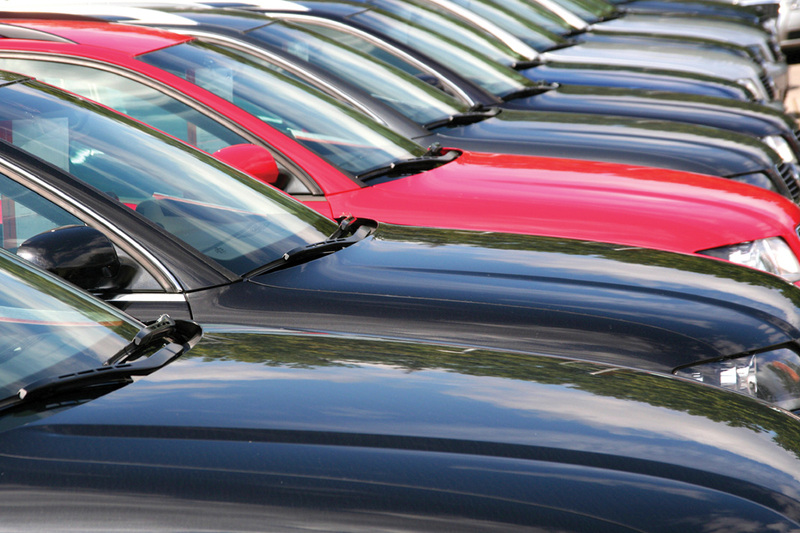 However when you are about to get a car loan, how often do you look around for the best deal? Many consumers do not consider shopping around for a car loan and this can have some financial implications. Car loans are a big financial investment and it is important to shop around to find out what you can realistically afford. If you do not do your homework and shop around, you may end up pushing your bank account to extinction. A car loan is more than monthly payments. You have to consider how long you will be paying your loan as well the interest attached to it. You can negotiate lower monthly payments and a longer term however in the long run, you’re paying more on interest. When you have agreed with your lender the terms and conditions of your loan, make sure you read everything you sign. It is never a good idea to sign anything without understanding the terms and conditions. If you tried to negotiate a car loan for a car you are thinking of buying however you reviewed your budget and financially there is no way you can buy a car and keep up with your loan payments, it is time to seek the advice of a trained credit counsellor. Don’t worry, you are not alone, many consumers are in the same boat as you. It can be difficult to manage your debt on your own. You can call and speak to a credit counsellor who will help you manage your debt. If you want to put your mind and stress level at ease speak to a counsellor right away by calling 1-888-696-9376. Shopping around for a car is fun and exciting especially when you have a specific make and model in mind. However if you are searching for a popular car like a Honda, Mazda or Ford etc. – you will need to have a little patience. How so? Some makes and models literally fly off the car lot as soon as it is listed. To have an upper hand while shopping around for a vehicle, some consumers prefer to have some money on hand to put a deposit down. However before you put your money down or pay for anything, make sure your mechanic gives your dream car the thumbs up first! In a perfect world we would all have enough money to pay for our new car in cash, but that’s simply not reality and we turn to debt. Whether it’s a personal unsecured loan or a secured loan using the car as collateral, we need to make sure it fits within our budget. Too often the emotion of buying a car, one that we really have our hearts set on, clouds our financial judgement. Unless we plan ahead, and factor our budget into the purchase and ongoing expenses, we end up living beyond our means. If this scenario happened to you, don’t worry – you are not alone. Many Canadians across Canada are living paycheque to paycheque trying to make ends meet on a monthly basis. The good news there’s help available to get you on track without claiming bankruptcy. Gauge your financial health. How much of your paycheque is used to service your debt load? Is 50 per cent of your pay going towards your debt? You can get a better idea of your financial situation by calculating your debt-to-income ratio. Keep your debt-to-income ratio under 36 per cent to avoid drowning in debt. Create a plan. Create a budget to gain an understanding of where your money is going, and cut whatever isn’t absolutely necessary to free up cash. Whatever extra money you gain, you can apply it to managing your debt. Carry only cash everywhere you go. When you use only cash, you are able to spend within your means. Once your money is gone, it’s time to leave the store. Limit buying your meals outside of your home. Instead make your meals at home. You will save hundreds maybe even thousands of dollars a year. Economic meals start with smart shopping behavior! Create a healthy meal plan, buy in season, and shop for the week! Seek credit counselling. If you are feeling overwhelmed by incorporating the above tips in your lifestyle, seeking the guidance of a trained credit counsellor will help you to get back on track with your debt management. You do not have to do this alone, seek the appropriate help. Get your financial house in order today and the best part, you can do this without leaving your home! You can pick up your phone to speak to a trained credit counsellor now at 11-888-696-9376. A trained credit counsellor will help you to create a budget and slay your debt in record time! Yes as long as you stay current on your loan and eventually pay off the debt, your credit record will gradually improve. Why get a car loan and what are the advantages ? Taking out a car loan, means you get to keep the purchase price of the vehicle in your savings account, as you never know what the future has in store for you. Getting a car loan gives you many advantages. Such as having the selection to buy a more suitable car for your needs, or allowing you to have more options in the choosing a car. In this case buying a newer model would be your best bet in terms of saving money. In long term a used model would just end up costing you even more in repairs and maintenance then a newer model. So you’re actually saving huge money down the road compared to the high costs of replacing the parts of an older or used car. Another great advantage of having a car loan is that you’re able to make your car actually much easier to pay for. Having a car loan permits you to track and spread the cost of the car over a longer period of time, which means you’ll always know exactly how long it will take for you to pay the loan and where you stand with your monthly payments with the loan until It’s completed. Keep in mind that successfully getting a car loan is much easier through Loans SOS as opposed to a standard bank. Even if you have bad credit, you can still get a car loan with Loans SOS. Many people who aren’t able to buy a car in any other way find that car finance is life changing. Example ; Being mobile will definitely increase your chances of finding work, especially today where most jobs require mobility and sometimes jobs are a far traveling distance from home. Another key to getting car finance as opposed to a standard loan is that it  comes with many positive perks. One of these perks being that if you buy your  car from the same company that provides you with the loan, they may provide services and omit fees that standard financial institutions wouldn’t. This gives added value to your loan that you wouldn’t have been able to get with a bank. An APR which stands for annual percentage rate describes the interest rate for a whole year instead of just a monthly fee/rate on your loan. Whatever APR you get from your car loan will be advantageous. This stabilizes your repayments and interest rates on the repayments, which means you wont have to  worry about your payments increased. Apply for your car loan today and take advantage of the many advantages with Loans SOS. Picture these scenarios: You run a busy clothing store and your only cash register just broke. Or the warm weather is coming up, and you need to hire servers for the patio. But you don’t have the cash to fix the register or hire the workers. In both cases, a short-term business loan can help. You get money you need now and, with the profits you make, repay it over a short period of time – usually anywhere from 3 months to 18 months. In contrast, long-term business loans are typically much larger and have a repayment period of five to 15 years or longer, making them better suited to a real estate purchase, a business acquisition or major equipment purchases. 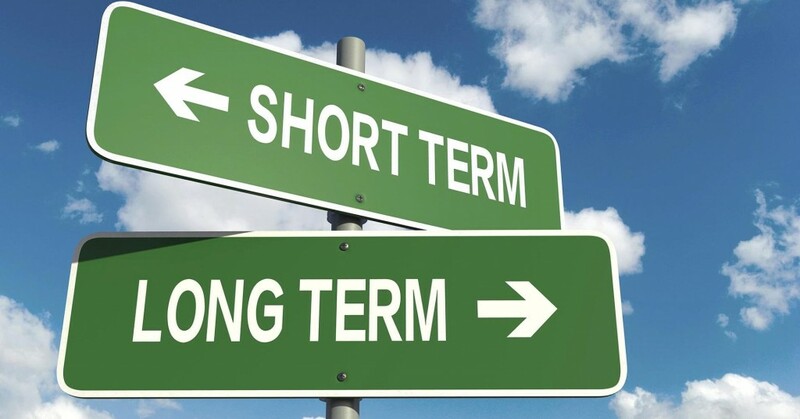 Short-term business loans typically come in smaller amounts ($5,000 to $100,000), carry repayment terms of a few months to a year or two, have looser qualifications and can provide quick cash – usually 1-2 days – at a much-needed time. However, short-term business loans generally have higher borrowing costs — something to keep in mind when you’re shopping around. To manage cash flow gaps: Uneven cash flow is a common issue for seasonal businesses. Instead of running up expensive credit card debt or taking out a home equity loan to pay the bills, a short-term business loan or line of credit can help manage the slowdown. For emergencies: What if your clothing store doesn’t have the cash in the bank to fix the broken register? What if you run a pizzeria and your only oven breaks down? Short-term business loans make sense in these types of emergencies. You can get quick cash for repairs, then repay the loan over a short time period — that way, you’re not still paying for a cash register or oven five years from now. 4.We want to protect our users from deceptive or harmful financial products. We do not allow the promotion of: Predatory loans, Loans which may come with upfront fees or insurance.